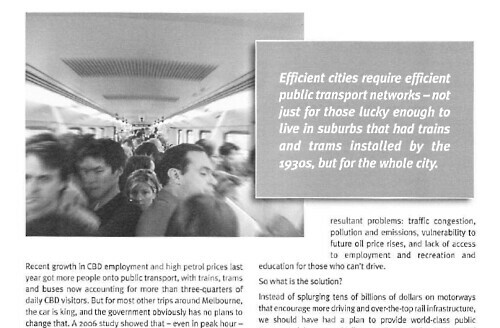 That picture showed up again, this time in an article I wrote for Planning News. I like the blur they’ve put on it. Love how you constantly highlight the CBD-obsession, which is one of my hobbyhorses! BTW, do you have any figures showing growth of PT modal share for CBD trips vs growth for metropolitan trips? I think the best share figures I have are the ones I posted last year – share for CBD is about 75%, metro-wide about 9 or 10%. Growth is worth looking at, yeah.